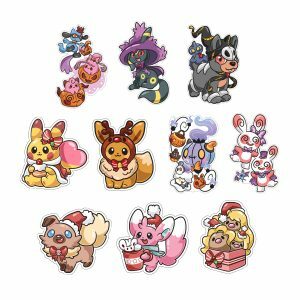 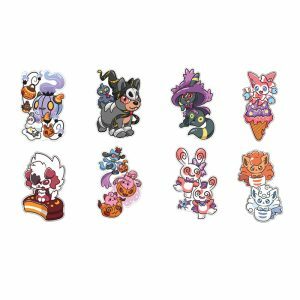 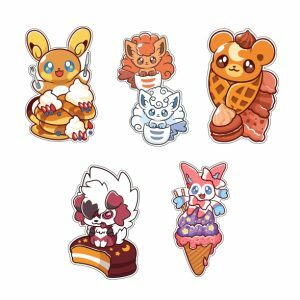 Adorable Pokemon stickers that are extra spooky! Get in the mood for tricks and treats with this spooky pack of 5 Halloween themed stickers! 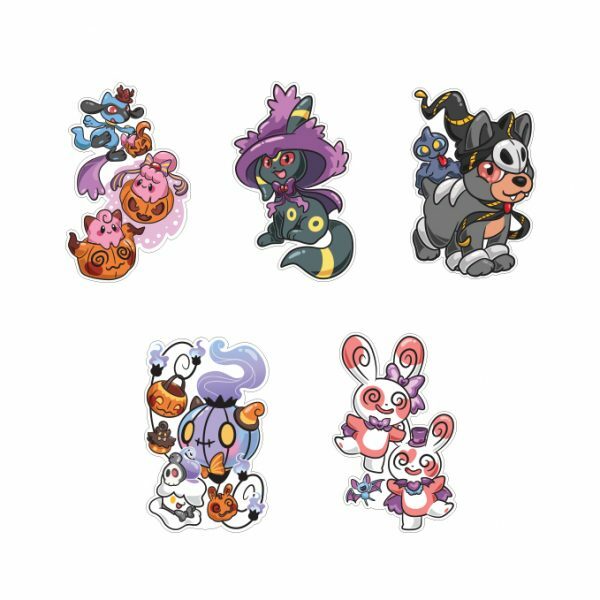 Included in this set: Riolu/Happiny/Cleffa, Umbreon, Houndour, Chandelure/Litwick, Spinda.